Welcome to my first blog about style finds! Throughout the week, I plan to share different trends, styles, and fashion musts. Hope you enjoy! 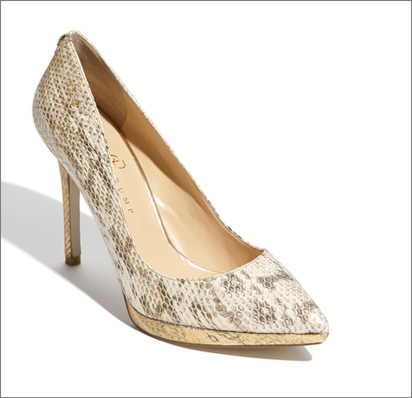 In real life, snakes freak me out, but when it comes to shoes, I have no fear -- snake prints are among my favorites. Since these prints are a big trend, I thought I would share a few of my favorite finds. 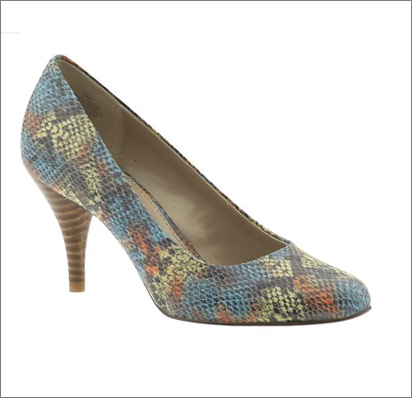 FYI: Nordstrom, Piperlime, and Zappos offer free shipping both ways. 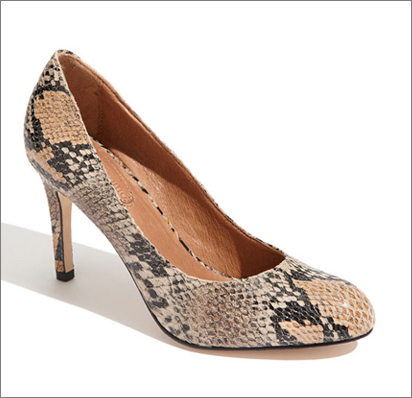 Nine West offers free shipping to you and free returns to a store.